Since the dawn of mankind’s desire to communicate with intent, pictographs or pictorial symbols that represent a word or phrase have been used to convey an idea – to effectively communicate without the need for words or language. In packaging, we still rely heavily on the use of pictures to symbolically communicate what words alone don’t. Especially in food packaging, the reliance on imagery communicates so much more than the message, “round pasta in red sauce”. Images for food packaging communicate things like sumptuousness, fastness, and healthiness – a multitude of literal and implied messages that would take significant amounts of copy to communicate. And we all know what copy does to a package! You have to take the time to read it and too often there is so much that it is difficult to present it in a legible format. If you don’t speak a language, you are in a hurry, or the copy is too small (just to name a few), all the words in the world aren’t going to “sell” your product. But a picture or pictograph does the job instantly. You see the healthy shiny peach or the olive trees that the olives were harvested from – you see what it is you want to eat. So where is this going? As a brief digression, increasingly it is hard to take in the complexities of the retail grocery environment. Shelves are too full, with so many iterations of the same product on the shelf, package graphics are challenging design norms all the time, and new products are hitting the shelf every day. More and more, the capacity of a product to stand out and catch your eye is being challenged. With more clutter and confusion in the aisle, how do you connect with the consumer? You focus on using effective pictograms to communicate your marketing message to your customers. Make it fast, simple and easy for the consumer to see you and take you to the checkout. 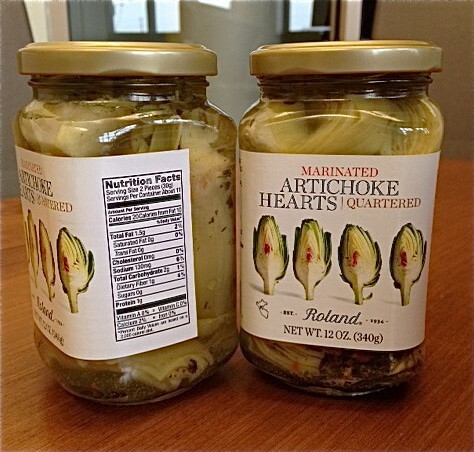 A great example of this is the Roland Quartered Artichoke packaging. In keeping with the contemporary trend for “clean” packaging, the structure is a simple, clear square glass bottle, that very clearly displays quartered artichoke pieces. The graphic portion of the packaging is a basic white label that wraps around three-quarters of the bottle. On the face panel are four photorealistic images of quartered artichokes, done in traditional botanical style imagery. 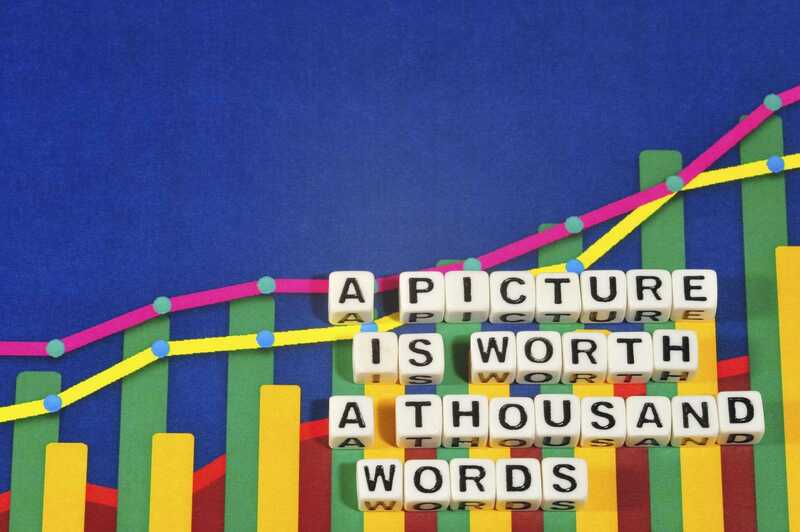 Quick, clean, direct and immediately recognizable images of the product content. Technically, you don’t need the copy on this label at all – the images tell the story. Nevertheless, the law requires certain items to be communicated and the label design accommodates that need with great minimalism, providing just the legally mandated content. Beautiful images, with excellent print execution, put the artichoke pieces front and center – on the retail shelf and hopefully on your cupboard shelf. I like the clarity of purpose and the “less is more design approach” to graphic design. The packaging structural approach isn’t new and revolutionary in delivering the product, and the graphic design approach doesn’t represent anything that is challenging, it is simply well thought out and executed. It stands out against its competition and in its category. I found this package design so pleasant and effective in its execution I keep looking to see if other products in the Roland line will make the jump to a pictographic approach and reflect the same clarity of design.